November has passed in the blink of an eye. How did you spend last month? Did you enjoy the beautiful scenery of the autumn leaves? What better way to end the month with some aromatic coffee while eating a delicious homemade cake and sharing stories with the other customers. You can do this at the very cosy Bar Rosario during our monthly Rainbow Café. This month, we served two kinds of cakes, a chocolate-orange one and a cake with a tasty fruit mix. If you can’t choose, you can just have both! 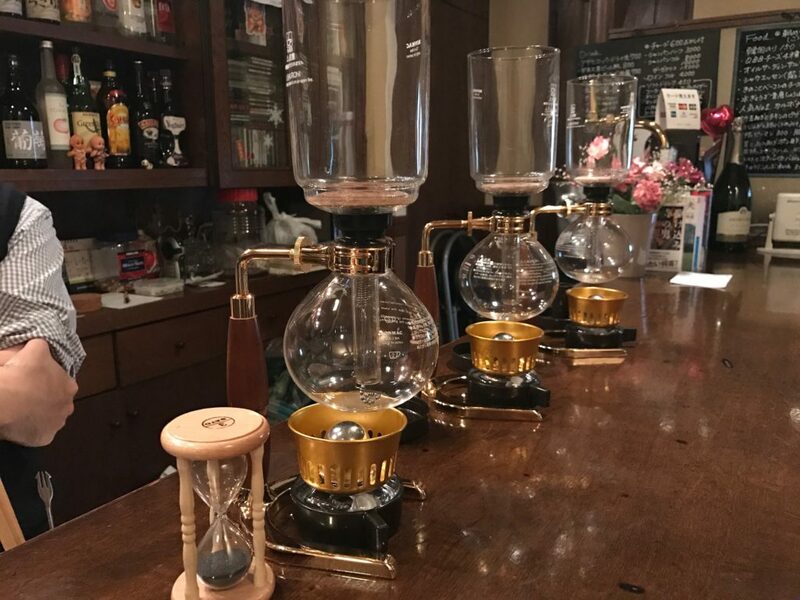 During the Rainbow café in Kobe, we prepare the coffee with a very special, fancy looking device called a Sifon. It looks very complicated, but it is actually not that hard. First you need to grind the coffee beans and put it in the top flask. Meanwhile you boil water in the bottom flask by putting it over a flame. Once the water boils it will go up the tube to the top flask where it will mix with the coffee powder. Then the coffee will pass through a filter back to the bottom flask and there you have it, a delicious cup of coffee. Did you miss this month’s event, or you want to see how this Sifon works, please come to our next Rainbow Café on the 30th of December (Sunday) 14:00～17:00. We are looking forward to serving you great coffee and have a nice chat!